The Oregon Lottery is the official lottery for the entire state of Oregon. It was established in 1984, and began selling tickets in 1985. Since then, the Oregon Lottery has contributed over $10 billion to support state-sponsored programs for education, economic growth, infrastructure, and even gambling addiction. Most Oregon Lottery tickets are valid for up to a year after the draw – giving winners plenty of time to claim their prize. Can I buy OR Lottery tickets online? No. Current laws in Oregon do not permit participation in online gambling, which the lottery is part of. If you’d like to purchase Oregon lottery tickets, you’ll need to buy them from a licensed retailer within the state of Oregon. The Oregon Megabucks is Oregon’s biggest lottery. Jackpots start at $1,000,000 and roll until someone wins it. To date, the game has turned over 240 individuals into millionaires. Simply choose 6 numbers from a pool of 48, and take the top prize if you match them all. Megabucks drawings take place three days a week – Mondays, Wednesdays, and Saturdays – at 7:29 PM PST. With Oregon’s Win for Life lottery, lucky individuals can win $1000 per week for the rest of their lives. Players may choose 4 numbers from 1 to 77. Other prizes include cash payouts of $50,000, $20,000, and $10,000. Drawings are held three times a week – Mondays, Wednesdays, and Saturdays – at 7:30 PM PST. Oregon Lucky Lines is a game based on a grid of nine fields. 8 of those fields each contain 4 numbers, and players must pick 1 number from each field. Match all 8 and take home the top prize. Jackpots start at $10,000 and grow by approximately $1,000 for each day that it isn’t won. Drawings are held every day at 6:00 PM PST. Easy and simple to play, Oregon’s Pick 4 game involves choosing 4 numbers from 0 to 9. Players also have the option to match the draw in exact or any order. Drawings are held four times daily, at 1:00 PM, 4:00 PM, 7:00 PM, and 10:00 PM PST. If you’re familiar with Keno, then Oregon Lottery’s version should be easy for you to understand. Pick up to 10 numbers and if you match them all, you can win up to $1,000,000! The Bulls-Eye option lets you win even more if you choose to play it. Keno games run daily every four minutes, starting at 5:30 AM and ending at 2:30 AM PST. One of the more interesting people to have won the Oregon Lottery, specifically Oregon’s Game Megabucks, is Bob Frost from Portland. He won $5.9 million from matching all 6 numbers for Megabucks back in March 2017. He opted for a lump sum payment of $2.95 million and took home $1,976,500 after taxes. Oregon Megabucks rewards players who match 3 of 6 numbers with a free quick pick ticket. Frost, took home his massive prize from one such ticket. Scratch-off tickets, or Scratch-its in the Oregon Lottery’s case, are a great option for players looking for a quick dose of fun. There’s plenty of variety on hand, with scratch-it ticket prices ranging from $1 to $20. Top prizes for the most expensive games can reach a whopping $250,000. Oregon Lottery Second Chances – What is Second Chance? Second chance drawings provide non-winning scratch-it ticket holders with more opportunities to win. In the Oregon Lottery’s case, players can win the last top prize for that specific game. How does Second Chance work for the OR Lottery? To enter second chance drawings for the Oregon Lottery, players have to register an account on the Oregon Lottery’s official page for second chance drawings. Just enter the codes printed on your non-winning ticket and wait for the next draw, which will be held as determined by the lottery operator. The Oregon Lottery is headquartered at 500 Airport Road SE, Salem OR 97301. 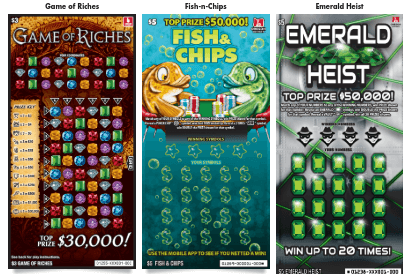 The Oregon Lottery supports downloadable apps for your Android and iOS mobile devices. If you’re a regular player of the lottery, this is a must-have. 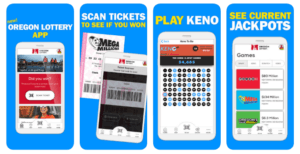 It’s a scanner app, lottery manager, and keno game platform all rolled into one convenient system. Scan your tickets to see if you’ve won. Manage your playtime and budget for more responsible gaming. View the current jackpots and latest draws. Find the nearest ticket sellers. Want to find out what the current Oregon Lottery winning numbers are? You can visit Lottery USA for more up-to-date information on the latest Oregon Lottery results. There you’ll find news on all Oregon Lottery draw games – including winning draws, jackpot size, next drawing dates, and more.